TWO INTERNATIONAL organisations for safety and health at work are launching partnership support for a campaign about how ‘Healthy Workplaces Manage Dangerous Substances’. 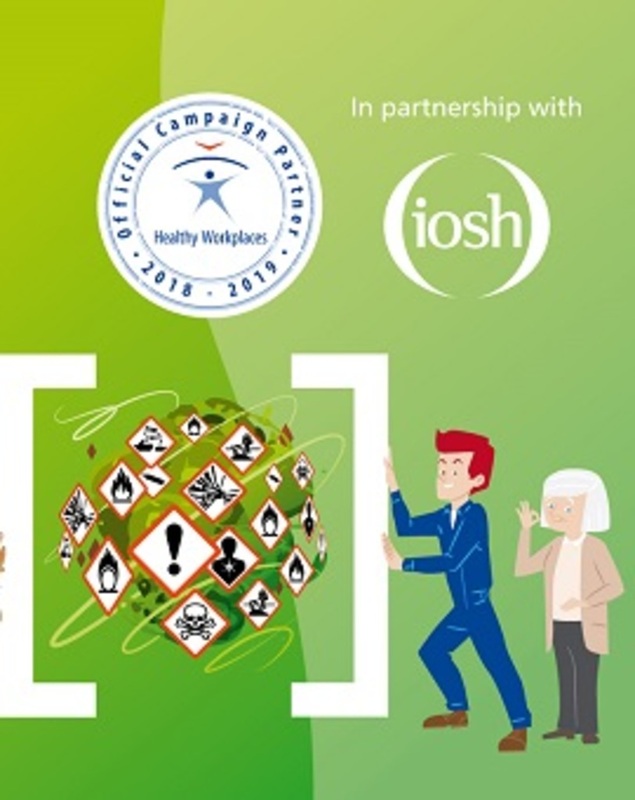 IOSH, the Institution of Occupational Safety and Health, will launch its support for this vital campaign run across Europe by EU-OSHA, the European Agency for Safety and Health at Work, at Castleknock Hotel during this year’s IOSH Ireland Conference. Many workers are exposed to dangerous substances at work every year. Cancer, respiratory illnesses and skin diseases are some of the health issues caused by exposure to hazardous substances at work. These include chemicals such as paints, glues and disinfectants; carcinogens including asbestos, diesel engine exhaust emissions and silica dust; and natural materials like grain dust and crude oil. All such risks can be reduced or eliminated. This new EU-OSHA ‘Healthy Workplaces’ campaign shares common cause with IOSH’s award-winning, global No Time to Lose drive to tackle occupational cancer. In Europe, almost 80,000 people die a year from cancer caused by carcinogenic exposure at work, and in Ireland incidences of cancer caused by the world’s most hazardous workplace carcinogen, asbestos, have begun to rise dramatically in the past 13 years. Ireland’s National Cancer Registry recorded 20 cases of mesothelioma in 2005 but that rose to 34 in 2014 and the registry expects it to leap to 68 cases per year by 2020 as workers exposed to asbestos up to the 1980s, when its use ceased, now begin to show symptoms. IOSH is an official campaign partner and will welcome EU-OSHA’s Brussels Liaison Office Manager, Brenda O’Brien, to the IOSH Ireland Conference to provide more details. A joint EU-OSHA Healthy Workplaces and IOSH No Time to Lose exhibition stand there will provide free resources for delegates. Find out more about IOSH’s support for EU-OSHA’s campaign at www.iosh.co.uk/healthyworkplaces. Chief executive at IOSH Bev Messinger said, “Through its WORK 2022 strategy, IOSH delivers advances that promote and realise our vision for a safe and healthy world of work. “Reducing exposures to work-related health hazards is a vital part of this. It is at the heart of what our 47,000 members advising businesses in EU member states and other countries strive to do every day. Speaking about the conference, chair of IOSH’s Ireland East Branch Yvette Moffatt said, “Almost daily now there is an article online or in a newspaper about employees wellbeing in the workplace. Healthy Ireland is currently developing a ‘Healthy Workplace Framework’ and the Health and Safety Authority, in the current strategy, has health as its first priority. “While the traditional focus on prevention is still extremely important, health proportion in the workplace is an additional support to the health and safety cause. Peter Claffey from the HSA will introduce its 2019-22 strategy at the event. The Ireland Conference will focus predominantly on health and wellbeing. Other speakers will include Shane Martin, a psychologist at Moodwatchers, talking about resilience; Biddy O’Neill, from Healthy Ireland, giving an update on their framework; Bertrand Maitre, from the Economic and Social Research Institute, who will examine musculoskeletal disorders; and Professor Peter McBride, from Inspire, who will look at workplace productivity.